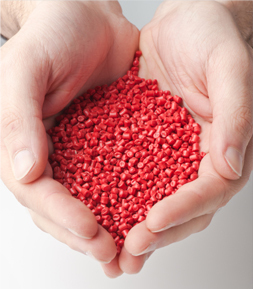 Select Polymers, Inc. is a sales agent- a direct agent for manufacturing companies in the world wide plastics industry. This means that you are dealing directly with these companies, not thru distributors or resellers. You have better access to information about their products-properties, availability and delivery. We have over 37 years of experience in the industry and can offer suggestions and advice as well as a world view of what is going on in our business. Select Polymers specializes in find the best materials though out the world. These materials share two common themes, top quality and exceptional value. We have formed alliances with companies in Asia, North and South America. This group of companies produce most of the well known plastics in use today and often are on the cutting edge of materials being developed for tomorrow. These materials offer top rate properties and fill applications that can be difficult to satisfy. We realize that you have many choices in our industry and our suppliers appreciate and value your business. We are always interested in talking with new suppliers as well and welcome conversations about your products. Integer sed vulputate nulla, quis ultricies nunc. Sed ut malesuada nibh, non hendrerit velit. Integer.